Historically, some of the best investment opportunities for investors have arisen from tax-free spin-offs of divisions or subsidiaries. What are spin-offs? Why do they happen? Those are great questions and I want to take some time to walk you through the basics of these byproducts of corporate restructurings, which you are bound to experience if you invest in stocks. What Is a Tax-Free Spin-Off? Sell it outright to a competitor, buyout group, or through an initial public offering, using the cash to pay down debt, buy back stock, pay a one-time special dividend, make acquisitions, or other general corporate purposes. Declare a tax-free spin-off to existing shareholders. Declare a tax-free split-off to existing shareholders in which they can tender their shares of the parent company for shares of the newly independent company. This is used when management wants to effect a significant buyback program all at one time with maximum efficiency. The first method -- selling the subsidiary -- is one that investors tend not to like it because it can result in significant capital gains if the investment is held in a taxable account. Investors will get paid, but they are effectively forced to sell their shares long before they planned to. A famous example from recent history is the old Kraft company, which sold some highly appreciated pizza businesses in a series of deals legendary investor Warren Buffett, then the largest stockholder, publicly condemned as "particularly dumb", strong words for the elder statesmen of the stock market. The third method -- a split-off -- has become extraordinarily popular in the past 10 or 15 years, often to the chagrin of investors who prefer spin-offs. It forces shareholders to make a decision; in order to get shares of the new business, they must give up shares of the parent company. McDonald's did this with Chipotle, MetLife did this with Brighthouse Financial, and General Electric did this with Synchrony. How Does a Tax-Free Spin-Off Work? Frequently, the parent company sponsors an initial public offering, or IPO, of the subsidiary, allowing between 10% and 20% of the company's stock to be sold to new investors on the open market. This establishes a trading history and more efficient pricing. 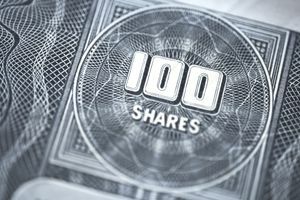 The company is assigned its own ticker symbol, and is required to file its own Form 10-K and proxy statement; it then takes on a life of its own. After a while, usually a year or two, the parent company distributes all of the remaining stock it holds in this newly independent business -- the other 80% or 90% -- to its own stockholders as a special dividend based on some sort of exchange ratio. What Are the Reasons a Corporation Might Undertake a Tax-Free Spin-Off? The justifications for parting with owned subsidiaries can be varied. Perhaps the operations aren't complimentary to the core mission of the enterprise, serving as a distraction. Other times, there may be risks inherent in the subsidiary that don’t fit the risk profile of the parent company. In still other cases, management is simply motivated by the desire to allow shareholders to enjoy the possibility of more rapid growth due to some promising new activity or a smaller initial market capitalization. Another popular motivation for a corporate spin-off is to free the parent company or former subsidiary from regulatory oversight that binds one of the two entities, keeping it from taking advantage of its best opportunities. You cannot pull up a stock chart and estimate the real-world return an investor would have experienced in most situations. Tax-free spin-offs play no small role in that. Consider the case of Sears. The legendary retailer has been circling the drain for years, barely able to survive as it liquidates its real estate assets and turns what was once an empire as powerful as Wal-Mart into a shell of itself that many believe may very well be headed towards bankruptcy court. Since the early 1990's, it looks like an investor who owned the stock would have significantly underperformed the S&P 500. Sears has sponsored so many corporate spin-offs in the past quarter-century or so that a buy and hold investor would have actually beaten the S&P 500 despite what appears, on paper, to be dismal performance. They would be sitting on a decently diversified portfolio spanning multiple industries and sectors. In 1931, Sears started an in-house insurance underwriter. After sponsoring an IPO, the remaining 80% of the subsidiary stock was spun-off to shareholders on June 30th, 1995 at a rate of 0.93 shares of Allstate for every share of Sears they owned. A few years prior, Sears spun off its 80% stake of Dean Witter, Discover & Company through a special dividend following the earlier IPO. According to the New York Times, on July 1, 1993, investors received "about four-tenths of a Dean Witter share for each Sears share they own[ed] in the tax-free transaction". Those spin-offs went on to merge or have spin-offs of their own in addition to paying their own dividends. Discover Financial, the credit card giant that began as the Sears in-house proprietary credit card, was spun out of Morgan Stanley. Lands' End was spun out in 2014. Sears Canada was spun out in 2012. Orchard Supply Hardware was spun out in 2011. There are rumors Sears is going to take its vast real estate portfolio, wrap it up into a tax-efficient REIT and sponsor a spin-off of it, too. Even if the retailer goes bankrupt, the long-term investors will have grown very wealthy from their position provided they stuck with it through thick and thin. It pays to think strategically, focus on long-term investment and remember that it is total return, not necessarily stock price, that matters in the end. This pattern frequently repeats itself. Consider the case of Sara Lee; after breaking itself apart, selling half of the conglomerate to a European-based coffee firm, long-term investors would have ended up with spin-offs in Hillshire Brands, the maker of everything from sausages to cheese, as well as fashion house Coach, which experienced explosive growth so incredible it ultimately dwarfed the size of its former parent company. (The latter was technically a split-off, not a spin-off; you would have needed to choose to actively participate if you wanted shares). Perhaps the most famous corporate spin-off of all time was not a single transaction, but rather a series of deals that flowed out of the old Philip Morris. The tobacco powerhouse kicked out its Kraft subsidiary, which then broke itself apart into Kraft Foods Group and Mondelez International. Kraft then merged with H.J. Heinz, the ketchup giant. What was then left became Altria Group, which spun off its international division as Philip Morris International. An investor who stuck through each subsequent spin-off and merger is now collecting dividends in everything from Cadbury chocolate and Oreo cookies to Maxwell House coffee and Philadelphia cream cheese, from e-cigarettes to chewing tobacco. It unlocked incredible amounts of wealth that showered owners of decent-sized stakes with money they can probably send their children and grandchildren to college. Should You Hold a Corporate Spin-Off or Sell It? Ultimately the decision about whether or not to hold ownership in a tax-free spin-off comes down to the specific situation. Not all spin-offs work out well. You need to study the newly independent company as you would any other firm and ask yourself if you would have been perfectly happy to purchase it in the first place, had it no connection to your prior investment. If the answer is "no" -- maybe it isn't suitable for your situation or passive income needs -- it may be wise to liquidate the shares and redeploy them to something more appropriate.